"I'M WORRIED" George W. Bush reportedly told a recent gathering of former aides and advisers, "that I will be the last Republican president." Like many other mainstream conservatives and Republicans, he fears that the ascendancy of Donald Trump will prove so toxic to the party's future that it may spell the end of the GOP as a viable political institution. It's no longer Reagan's GOP. The pessimists could be right. Political parties are not immortal. The Federalist Party — the ideological home of John Adams, Alexander Hamilton, and John Marshall — was the dominant force in early American politics. But the Federalists' embrace of the Alien and Sedition Acts antagonized voters and contributed to Adams's defeat in the presidential election of 1800 — a defeat from which the party never recovered. A few decades later, the Whig Party was a power to contend with in American political life. Yet it, too, eventually imploded, undone in the 1850s by the issue of slavery. The Republican Party was born in 1854, and there have been no fewer than 18 Republican presidents. The GOP has withstood a great deal in its 162 years, but can it withstand the authoritarian, alienating candidacy of Trump, the most unpopular major-party nominee in modern times? Perhaps not. More likely, though, the GOP will not die but adapt, as long-lived parties generally do, retaining its name while revising — or even overturning — its core beliefs and electoral message. Party creeds are not chiseled in granite. Most Republicans and Democrats have at least a general sense of the values their parties stand for, and many of them are in the habit of thinking that those values go to the party's essence. When a Howard Dean declares that he represents "the Democratic wing of the Democratic Party," or when a Tea Party conservative lambastes the GOP's "RINOs" (Republicans in Name Only), they are speaking as committed believers — candidates and activists for whom parties are supposed to embody fundamental principles, not just a hunger to win elections. Yet in the end, political parties — or at any rate, big national parties — are about winning elections. And as society changes, so does a party's ideological orientation. The transformation can be gradual, or it can be dramatic; sometimes party members embrace a new doctrine by degrees, sometimes intraparty factions clash in a battle royale. Either way, parties evolve. If you're a partisan loyalist, a Republican or Democrat before anything else, you'll adjust to your party's new stance and vote for its nominees. If your philosophical convictions are what matter most, you may break with a party once it no longer upholds them. The Democratic Party today would have little use for staunch anticommunists like Harry Truman or John F. Kennedy. In the decades after the Civil War, for example, the Republican Party vigorously championed black civil rights, while segregationists and white supremacists dominated the Democratic Party. High tariffs were once the centerpiece of the GOP's economic program; it was Democrats who pushed hard for free trade and condemned protectionism as "robbery of the great majority . . . for the benefit of the few." In Harry Truman's day, there was no contradiction between robust anticommunism and loyalty to the Democratic Party. A generation later, anticommunist Cold Warriors were far more likely to be Republicans. 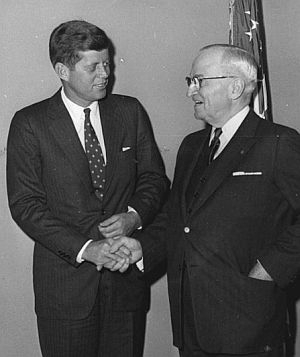 Democrats today would have little use for a candidate like Truman, and they wouldn't dream of nominating John F. Kennedy — a conservative Democrat who backed across-the-board tax cuts, limited government, and increased military spending. Meanwhile Republicans, as the convention in Cleveland made only too clear, would turn their backs on a candidate like Ronald Reagan. 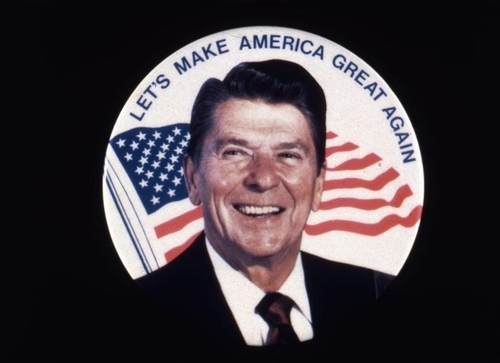 The Gipper's GOP — the party of muscular internationalism, American exceptionalism, free-market optimism, and social conservatism — has been overtaken by Trump's isolationist anger and populist resentment. Parties change, and not always for the better. In the long run, there are no immutable Republican or Democratic values. Political parties exist to fight elections, not to uphold philosophical beliefs. In elevating Trump, the GOP is rejecting ideological standards it long advocated and losing many of its longtime supporters. But is it committing suicide? Probably not. The parties' brands endure, even if their principles don't.